Endoscopic release of the iliotibial band and bursectomy at the level of the greater trochanter offers a safe and effective method in the management of Greater Trochanter Pain Syndrome with good results in the midterm perspective. Department of Neuromedicine and Movement Science, Norwegian University of Science and Technology, Trondheim, Norway. 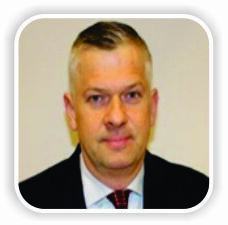 Department of Orthopaedics, St. Olavs Hospital, Prinsesse Kristinas gt 3, 7030 Trondheim, Norway. Introduction: Greater trochanteric pain syndrome (GTPS) includes patients with symptoms of peritrochanteric pain, gluteus medius/minimus tendinopathy, and external snapping hip. Non-operative treatment includes iliotibial band (ITB) stretching, gluteal exercises and cortisone injections. When surgery is indicated due to the failure of non-operative strategies, open Z-plasty at the level of the greater trochanter has been the traditional procedure. Endoscopic release of the ITB and bursectomy at the level of the greater trochanter has over the last decades evolved and is established as an alternative method of surgery. Case Reports: We here present a case series with 11 consecutive patients who have undergone endoscopic release of the ITB and bursectomy at the level of the greater trochanter due to GTPS. The patients were all Caucasians, 43–71 years of age, and six were female. The patients retrospectively scored their pre-operative function and pain during follow-up at 28 months (range 15–42). Post-operative pain and function were scored at follow-up. In this paper, we discuss investigation, differential diagnoses, surgical options, and outcomes in the treatment of GTPS. All patients reported significant reduction of pain, and 10 of 11 patients reported an improvement in function. We observed no complications. Conclusions: Endoscopic release of the ITB and bursectomy at the level of the greater trochanter appears to be an effective and safe procedure when conservative treatment options for GTPS have failed. Keywords: Greater trochanteric pain syndrome, endoscopy, iliotibial band, Z-plasty,algorithm. Greater trochanteric pain syndrome (GTPS) is a condition characterized by peritrochanteric pain radiating along the lateral border of the thigh . The syndrome includes external snapping hip, gluteus medius/minimus tendinopathy, and trochanteric bursitis . Women of menopausal age are more often affected than men with a ratio of 4:1 and the reported overall incidence varies between 1.8 and 5.6 per 1000 inhabitants per year [3, 4]. The etiology remains unknown, but one explanation is repetitive mictrotrauma to the abductor musculature causing gluteal tendinopathy . One should also note that the term trochanteric bursitis is misleading since an inflammatory component is not present . An analog description of the pathophysiology of GTPS is the resemblance of the acromion and rotator cuff tendinopathy in the shoulder with the iliotibial band (ITB) and gluteal tendinopathy . Differential diagnoses are meralgia parestetica, L2–L3 radiculopathy, and intra-articular pathologies . The most dominating symptom of GTPS is revealed by The Little test from 1979. A positive test provokes pain at deep palpation over the greater trochanter which can almost be considered as pathognomonic for the condition. From this follows the obvious that pain may also be provoked by lying on the affected hip, but also and during gait [9, 10]. In addition to pain at the greater trochanter, pain related to external snapping hip is provoked by repeated extensions and flexions of the thigh. In contrast to idiopathic GTPS, external snapping hip is more explicitly associated with a tight ITB . Gluteal tendinopathy is a well-known cause of GTPS  often accompanied by a positive Trendelenburg sign and findings on magnetic resonance imaging (MRI) . 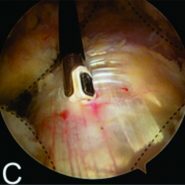 A focal tear of the gluteus medius muscle could be addressed with micropuncture and a full tear with suture and this may be combined with an intra-articular procedure in addition to the ITB procedure described in this article [14, 15]. Radiologic investigation with plain radiography can detect calcification adjacent to the greater trochanter and differential diagnoses such as osteoarthritis (OA), femuroacetabular impingement, and fractures . Furthermore, over coverage of the femoral head measured by increased CE angle may be associated with GTPS . MRI and ultrasound (US) are both valuable in detecting peritrochanteric edema and gluteal tendinopathy. US can provide a dynamic examination, is inexpensive, and is able to detect calcification better than MRI. It can also be a valuable tool during aspiration and injection . By convention, patients with GTPS are initially treated nonoperatively with various modalities and results including extracorporeal shock wave therapy (ESWT), cortisone injection, ITB stretching, and gluteal strengthening . In a recent systematic review on the management of GTPS, Reid revealed large gaps in the literature with regard to the effect of these various interventions . When surgery is indicated due to failed non-operative strategies, open Z-plasty of the ITB at the level of the greater trochanter has been the traditional procedure. Other treatment options include bursectomy and longitudinal debridement of the ITB. There are no studies of high quality, but publications suggest high success rates of all the treatment options . Endoscopic release of the ITB and bursectomy at the level of the greater trochanter has been established as a procedure over the last decade . To the best of our knowledge, there are no publications of high quality evaluating these methods with randomized trials and the papers describe the results based on small sample sizes. In this paper, we present 28 patients who were referred for GTPS. Eleven of these patients underwent endoscopic release of the ITB and bursectomy and were included in this case series. From September 2011 to June 2014, 18 patients presented in the outpatient clinic with GTPS. All were considered for an endoscopi release of the ITB and bursectomy at the level of the greater trochanter. The patients’ medical stories included considerable soreness on palpation of the greater trochanter and none presented with a postive Trendelenburg sign. All patients reported poor response following at least 1year of conservative treatment of stretching exercises, abductor training, with or without the addition of ESWT, and had a minimum of at least one cortisone injection to the greater trochanter under the direction of the surgeon before surgery. Pre-operative plain radiographs and/or MRI was taken to rule out coxarthrosis, gluteus medius rupture, or any intra-articular pathology as causes of pain, and consequently, none of the patients underwent a combined intra-articular procedure (Table 1). All eligible patients were operated by the same surgeon between March 2012 and June 2014 with endoscopic star-shaped release of the ITB and bursectomy at the level of the greater trochanter. The patients were well informed about the syndrome to ensure a realistic expectation for the operation outcome. The surgery was carried out under spinal(n=2) or general anesthesia (n=9)with the patient in lateral decubitus position (Fig. 1). 20 mL of xylocaine-adrenaline (10mg/ml+5μg/ml) was injected into the greater trochanter in the layer between the ITB and musculature to separate the ITB from the gluteal muscles, induce vasoconstriction, and provide post-operative pain relief. The viewing portal was 10 cm distal and the working portal 10 cm proximal to the greater trochanter. With a 90° vaporizer, subcutaneous adipose tissue was cleared from the ITB. The ITB was released10 cm proximally and 10 cm distally, with a star-shaped opening at the level of the greater trochanter. This was followed by bursectomy and inspection of the gluteus medius and vastus lateralis muscles, which were found intact in all patients. Portals were closed using simple mattress sutures and 20 ml ropivacain (7.5 mg/ml)was administered subcutaneously. Post-operatively, all patients were referred to a physiotherapist for stretching exercises and abductor training. The patients were allowed full weight bearing. All patients were routinely examined pre-operatively by the surgeon including the Trendelenburg test. Pain and function were rated by the patients using a numerical rating scale (NRS), range 0–10 retrospectively at follow-up with two physical therapists. In addition to the NRS, Harri ship score was measured evaluating limping, muscular strength, and balance, scored and combined by two physical therapists retrospectively. Wilcoxon two-tailed signed rank tests were used to evaluate the changes in NRS and P< 0.05 was considered to be statistically significant. 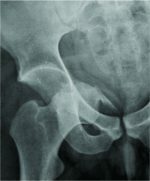 Seventeen of the 28 patients were excluded due to lumbar pathology, coxarthrosis, or previous hip surgery. One patient refused to undergo conservative treatment but was nevertheless referred to surgery leaving 11 patients with idiopathic GTPS, without snapping hip externa, for inclusion in the case series (Table 1). The patients were Caucasians, 43 to 71 years of age, and six were females. Nine patients underwent MRI examination, and there were found no tears on the gluteus medius or minimus muscles (Table 1). MRI was not mandatory in the pre-operative protocol, and two patients did not have an MRI. No tears were found intraoperatively on the gluteus medius or minimus muscles. Mean operating time was 30 min (range 19–40) (Table 1). Function and pain were scored retrospectively by two physiotherapists on the NRS, and the results are presented in Fig. 2. At a median follow-up of 28 months (range 15–42), all of the 11 patients reported reduced pain. Ten patients reported improved function. One patient reported pain but also reduced function. This patient was later reoperated with a distal Z-plasty with a good result. There was a reduction in pain score of 4.3 (P = 0.001) and an improvement in function score of 3.1 (P = 0.014). Wilcoxon two-tailed signed rank tests were used to evaluate the changes in NRS and P< 0.05 was considered to be statistically significant. Five patients reported a reduction in the use of analgesics, and six reported the same use. One patient with a history of minor stroke had a positive Trendelenburg sign, and nine were negative, while one patient did not fully comply when tested. Consequently, we found no major indication of iatrogenic damage to the gluteal muscles. All patients had lower age adjusted HHS compared to a healthy reference population. We observed no complications. Ten of 11 patients reported improvement of their chronic GTPS following the endoscopic procedure. 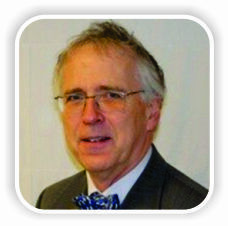 None of the patients experienced post-operative complications. Mean operating times were decreasing from 40 to 19 min in a period of 27 months, indicating a relatively steep learning curve. The lower HHS compared to a healthy reference population demonstrates a persistent reduction of function 15–42 months post-operatively. There are several shortcomings in this present case series. There is an obvious lack of control group, and the NRS for pre-operative pain and function were scored in retrospect. Furthermore, HHS was not performed pre-operatively. Advantages are that the results were measured by two physical therapists and not the investigating surgeon, the cases represent a consecutive cohort, and the patients undergoing surgery were carefully selected with exclusion of other diagnoses. Endoscopic procedures are reported to offer better visualisation, are less invasive, provide quicker rehabilitation and have fewer complications than open surgeries. 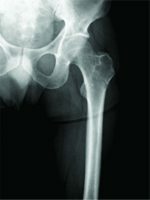 Conventionally, an open Z-plasty at the level of the greater trochanter has been used with varying results reported. Our promising results using an endoscopic procedure might represent a useful option. An open distal Z-plasty can be performed to avoid further peritrochanteric trauma and relieve the area around the greater trochanter from tension of the ITB . In our opinion, a reoperation using distal Z-plasty could, therefore, be performed after failed endoscopic surgery. The risks of complications surrounding endoscopic procedures seem low and temporary, and we observed no complications in this case series. Consequently, we consider this procedure potentially quite useful. According to the authors’ clinical experience, patients with chronic GTPS have often been told that their condition is not suitable for surgical treatment. In this case series, none of the patients’ conditions worsened after surgery; on the contrary, their conditions improved significantly. The investigation of a patient with GTPS is often complex, paved with differential diagnoses and surrounded by various treatment modalities. We, therefore, suggest and present an algorithm that hopefully can be of aid in making the proper clinical decisions. To the best of our knowledge, such an algorithm has not been presented previously. Endoscopic release of the ITB and bursectomy at the level of greater trochanter appears to be an effective and safe procedure when conservative treatment options for GTPS have failed. For patients with GTPS, including the idiopathic type presented in this case series who are not responding to conservative treatment, endoscopic release of the ITB at the level of the greater trochanter offers an effective and safe procedure with good results also in a mid term perspective. 1. Williams BS, Cohen SP. Greater trochanteric pain syndrome: A review of anatomy, diagnosis and treatment. Anesth Analg 2009;108:1662-70. 2. Redmond JM, Chen AW, Domb BG. Greater trochanteric pain syndrome. J Am Acad Orthop Surg 2016;24:231-40. 3. 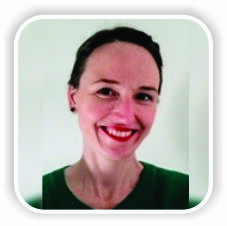 Lievense A, Bierma-Zeinstra S, Schouten B, Bohnen A, Verhaar J, Koes B. Prognosis of trochanteric pain in primary care. Br J Gen Pract 2005;55:199-204. 4. Brinks A, van Rijn RM, Bohnen AM, Slee GL, Verhaar JA, Koes BW, et al. Efect of corticosteroid injection for trochanter pain syndrome: Design of a randomized clinical trial in general practice. BMC Musculoskelet Disord 2007;8:95. 5. Klauser AS, Martinoli C, Tagliafico A, Bellmann-Weiler R, Feuchtner GM, Wick M, et al. Greater trochanteric pain syndrome. Semin Musculoskelet Radiol 2013;17:43-8. 6. Board TN, Hughes SJ, Freemont AJ. Trochanteric bursitis: The last great misnomer. Hip Int 2014;24:610-5. 7. Ho GW, Howard TM. Greater trochanteric pain syndrome: More than bursitis and iliotibial tract friction. Curr Sports Med Rep 2012;11:232-8. 8. Shbeeb MI, Matteson EL. Trochanteric bursitis (greater trochanter pain syndrome). Mayo Clin Proc 1996;71:565-9. 9. Little H. Trochanteric bursitis: A common cause of pelvic girdle pain Can Med Assoc J 1979;120:456-8. 10. Fox JL. The role of arthroscopic bursectomy in the treatment of trochanteric bursitis Arthroscopy 2002;18:E34. 11. Allen WC, Cope R. Coxa saltans: The snapping hip revisited. J Am Acad Orthop Surg 1995;3:303-8. 12. Kingzett-Taylor A, Tirman PF, Feller J, Mcgann W, Prieto V, Wischer T, et al. Tendinosis and tears of gluteus medius and minimus muscles as a cause of hip pain: MR imaging findings. AJR AM J Roentgenol 1999;173:1123-6. 13. Bird PA, Oakley SP, Shnier R, Kirkham BW. Prospective evaluation of magnetic resonance imaging and physical examination findings in patients with greater trochanteric pain syndrome. 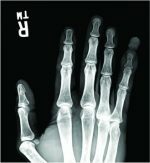 Arthritis Rheum 2001;44:2138-45. 14. Redmond JM, Cregar WM, Gupta A, Hammarstedt E, Martin TJ, Domb BG. Trochanteric micropuncture: Treatment for gluteus medius tendinopathy. Arthrosc Tech. 2015;4:e87-90. 15. Chandrasekaran S, Gui C, Hutchinson MR, Lodhia P, Suarez-Ahedo C, Domb BG. Outcomes of endoscopic gluteus medius repair: Study of thirty-four patients with minimum two-year follow-up. J Bone Joint Surg Am 2015;97:1340-7. 16. Klontzas ME, Karantanas AH. Greater trochanter pain syndrome: A descriptive MR imaging study. Eur J Radiol 2014;83:1850-5. 17. Chowdhury R, Naaseri S, Lee J, Rajeswaran G. Imaging and management of greater trochanteric pain syndrome. Postgrad Med J 2014;90:576-81. 18. Rompe JD, Segal NA, Cacchio A, Furia JP, Morral A, Maffulli N. Home training, local corticosteroid injection, or radial shock wave therapy for greater trochanter pain syndrome. Am J Sports Med 2009;37:1981-90. 19. Reid D. The management of greater trochanteric pain syndrome: A systematic literature review. J Orthop 2016;13:15-28. 20. Del Buono A, Papalia R, Khanduja V, Denaro V, Maffulli N. Management of the greater trochanteric pain syndrome: A systematic review. Br Med Bull 2012;102:115-31. 21. Fox JL. The role of arthroscopic bursectomy in the treatment of trochanteric bursitis. Arthroscopy 2002;18:E34. 22. Donnie WW, Leatham PA, Rhind VM, Wright V, Branco JA, Anderson JA. Studies with pain rating scales. Ann Rheum Dis 1978;37:378-81. 23. McLean JM, Cappelletto J, Clarnette J, Hill CL, Gill T, Mandziak D, et al. Normal population reference values for the oxford and harris hip scores – Electronic data collection and its implications for clinical practice. Hip Int 2017;25:389-96. 24. Baker CL, Massie RV, Hurt WG, Savory CG. Arthroscopic bursectomy for recalcitrant trochanteric bursitis. Arthroscopy 2007;23:827-32. 25. Sayed-Noor AS, Pedersen E, Wretenberg P, Sjoden GO. Distal lengthening of ilio-tibial band by Z-plasty for treating refractory greater trochanteric pain after total hip arthroplasty (Pedersen-Noor operation). Arch Orthop Trauma Surg 2009;129:597-602. How to Cite This Article: Thomassen P J B, Basso T, Foss O A. Endoscopic Treatment of Greater Trochanteric Pain Syndrome- A Case Series of 11 Patients. Journal of Orthopaedic Case Reports 2019 Jan-Feb; 9(1): 6-10.